The Late Roman fort of Tokod is situated a few kilometers away in the hinterland of the frontier line along the Danube. The complete fort is not built over but preserved in grass land. 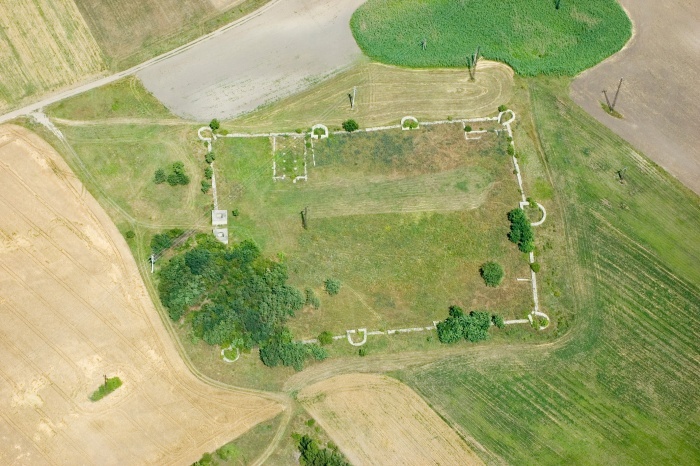 Individual parts of the Late Roman fort of Tokod were excavated in 1893, 1926 and 1960–69). In the 1970´s the curtain walls were conserved with a reinforced concrete structure. The fort walls, and the foundation walls of the towers and the warehouse building in the interior area are still visible.